Selling a loved one’s home can be an emotional process – especially when you are the person responsible for clearing out personal belongings while, at the same time, trying to market the home for potential buyers. Tying up loose ends can be stressful, so the last thing anyone wants is to make bad decisions that waste time and money. We at American Home Buyer are not attorneys and cannot give you legal advice, but we have put together a guide that should help ease the process of selling your inherited home. Step 2: Do I need to file Probate or Heirship Affidavits? If the title has already passed to you through a trust or other means, then you may not need to file anything. Otherwise, you will need to determine if you should file for probate proceedings or if you can use heirship affidavits instead. Texas allows for Heirship Affidavits – a simpler process that takes a very short time, involving less legal processes. According to the State Bar of Texas, “Probate is the process of winding up the business affairs of a person who has passed away (the decedent). A court determines whether a will [or other testamentary document transferring assets or property] is the true last and valid will of a decedent through the completion of certain requirements.” In Texas, the executor has four years to file for probate, and you should use a probate attorney to handle this process. An heirship affidavit is a sworn statement used to establish ownership of property when the original owner dies. These are generally used when the decedent did not leave a will, or did leave a will, but the will is not being probated. You will usually need two heirship affidavits from disinterested parties who knew the decedent for ten years. Click here for more information regarding heirship affidavits. Note: You can actually begin the selling process while the will is being probated or you are obtaining heirship affidavits. Step 3: Should I Sell to an Investor, on my own or use a Realtor? 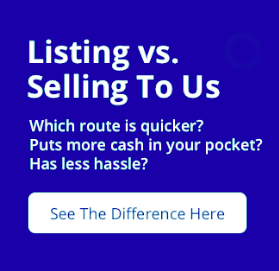 Selling through a realtor may get you a higher retail price; however, selling through a realtor would mean having to pay commissions and closing costs. 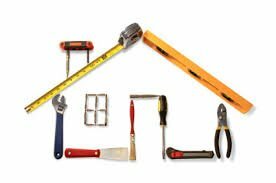 Before you can put your house on the market, realtors usually ask that you make renovations and improvements. Consequently, you end up spending more money, and the house can sit on the market for months. If the home needs major repairs or needs cleaning, selling to an investor may be the route you want to take. Investors purchase homes “as-is” and will remodel the home for resell. This route is also the quickest, since investors can close immediately without any contingencies. Just make sure you are dealing with an investor like American Home Buyer that can actually close quickly with a cash offer. It is recommended that you check references like the Better Business Bureau or previous client testimonials. The biggest advantage of selling the home on your own is you will not have to pay commissions. However, marketing your home on your own can be costly and may not produce a buyer. 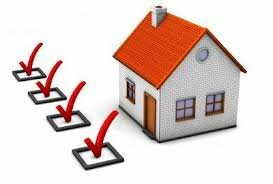 Further, you will need to know how to write the contract and arrange the closing with a title company. Houses that are “well lived in,” require repairs and a great deal of TLC. If you sell your property through a realtor or on your own, you will likely need to do any needed repairs before beginning the marketing phase. However, if you sell to an investor, they will almost always take the property as-is. We understand that losing a loved one can be difficult, more so when you are left with the responsibility to maintain the home. 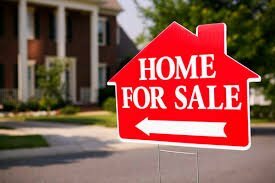 However, if you are interested in selling your home, as-is, or quickly, American Home Buyer may be your perfect choice!